Book Two Nights at any one of the following Game Reserves listed below, and get three nights absolutely free at any one of the listed hotels below. A maximum of three (3) free nights can be accommodated per hotel, per booking. 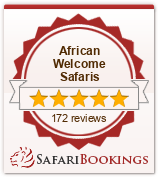 Shamwari Game Reserve, Jock Safari Lodge, Sanbona Wildlife Reserve, Nkomazi Game Reserve and Oceana Beach & Wildlife Reserve are inclusive of accommodation, meals, game drives and selected local beverages. Lake Pleasant Living and Grande Roche are inclusive of accommodation and breakfast. The Constantia / The Long Beach / The Franschhoek and The Bishops Court are inclusive of accommodation, breakfast and selected beverages. Contact us to Book this fantastic Special now ! !